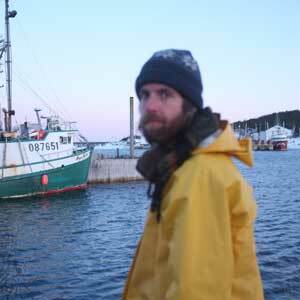 All This Here, the first full-length ambient work by Jonas Bonnetta, is environmental music conjured directly from the places in which it was written. 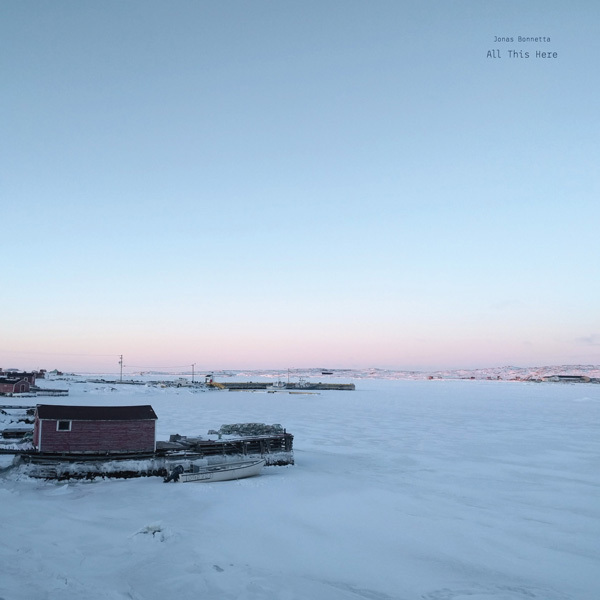 Field recordings made on the coast of Fogo Island echo throughout the record, and from their obscurity emerges a music like the dialect of vast landscapes. Horns glisten into strings or shimmer apart into the rumble of surf, forlorn murmerings suggest some alloy of whalesong and cello. Particles of recorded footfalls collide in the vacuum of wind or woodwind and cold, watery piano tones. All This Here sounds like a record of dawn and dusk, of light that frets at the edge of the day. As tidal arrangements flow one into another and wash themselves away, what remains is something that feels more found than constructed, a ghostly sonic geography. The album takes the form of a single, sprawling field recording, a map of physical and emotional landscapes in superposition. All This Here explores something apart from the glut of modern curated life, of memories laminated by filters, contrived pageantries of person-in-nature posted for all to see. Bonnetta seems to be seeking a reality closer to that of the naturalist or nature writer than the hyperlinked world of his contemporaries. Some fresh province left off the map, eloquent and permanent. He has compared the field-recording process to a type of foraging, a hunt for treasures in the forest. In All This Here he assembles those fragments into something stubbornly pure.